This is actually more difficult than it should be. It really is. 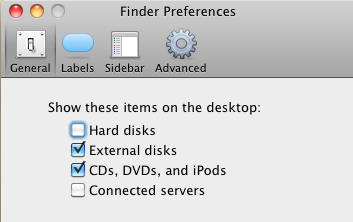 Seriously, where is the “use as USB” option?? Why must the iPhone be so closed off and annoying to get into??? But yes, there are various methods to do this. There are also ways not to do this. Like iPhoto. I never ever use iPhoto as it is the most terrible, horrible, totally illogical, mind-bogglingly useless and just generally one of the worst programs I have ever used. Or possibly the worst, I can’t think of one I hate using more right now but possibly there are one or two. 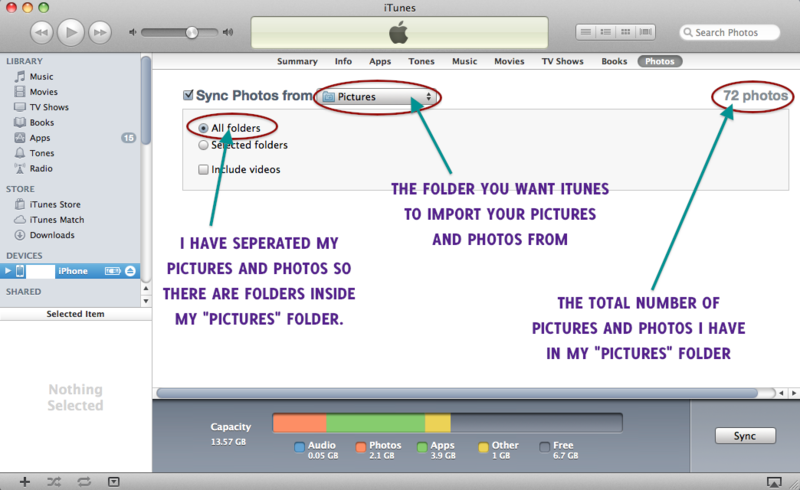 Anyway, this is the way I go about moving/removing photos or pictures to and from my iPhone. Just FYI, I have not jailbroken my phone and I only use free programs. Also, I have stopped my iPhone syncing automatically. 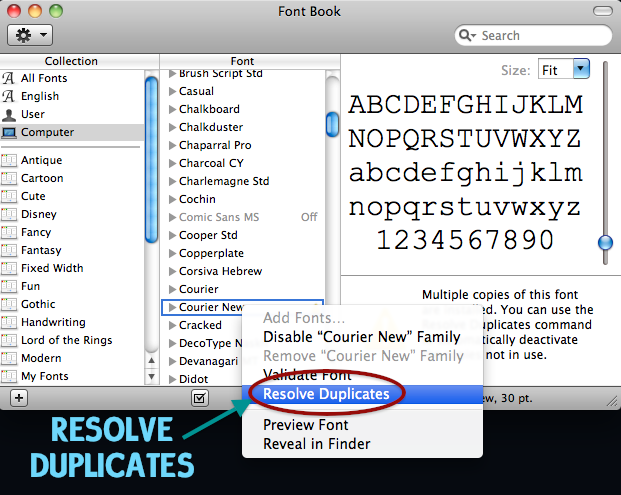 …although why it syncs on default is beyond me. It’s like Apple have said “quick, let’s make the iPhone do lots of things as soon as the unsuspecting owner connects it to a computer with iTunes installed. And let’s make it do super annoying things before they can stop it like syncing (deleting) photos and contacts in default locations. 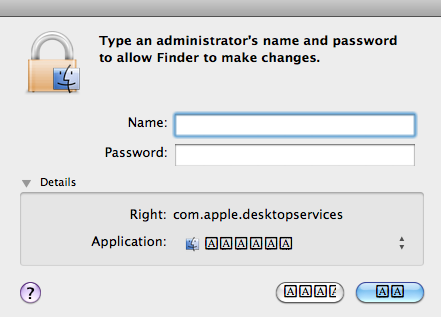 Yay!” Curse them and their default-syncing ways!! 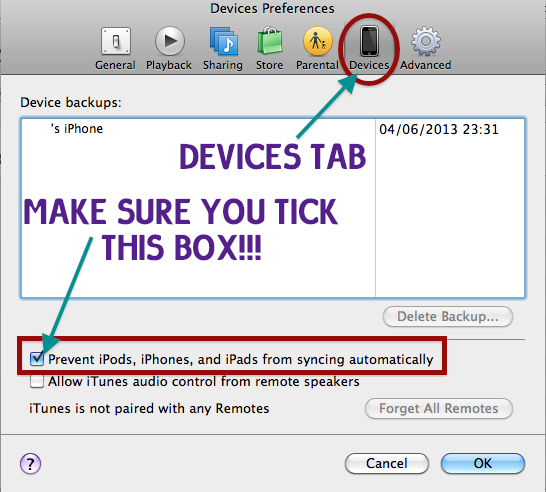 If would like to stop your Apple devices doing this have a look at my post HERE. 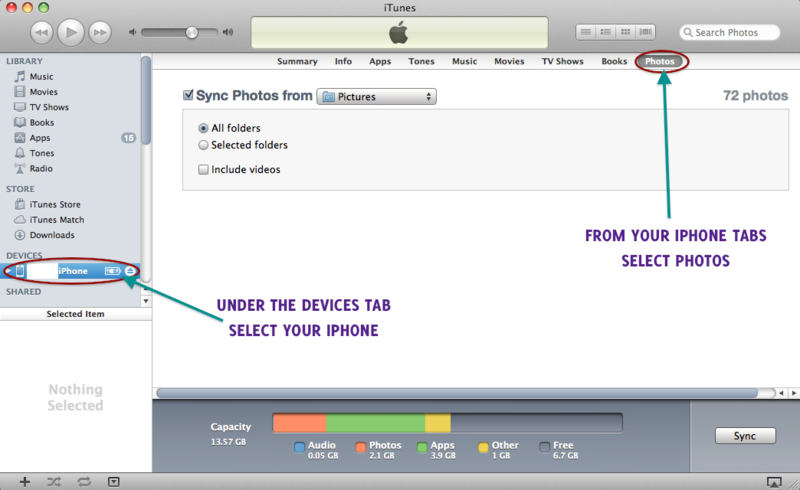 I always use iFunBox to backup photos from my iPhone on my Mac. It’s really easy to use and you can just select the photos you want to move and drag them to a folder of your choice. No fuss – it’s a quick clean job. 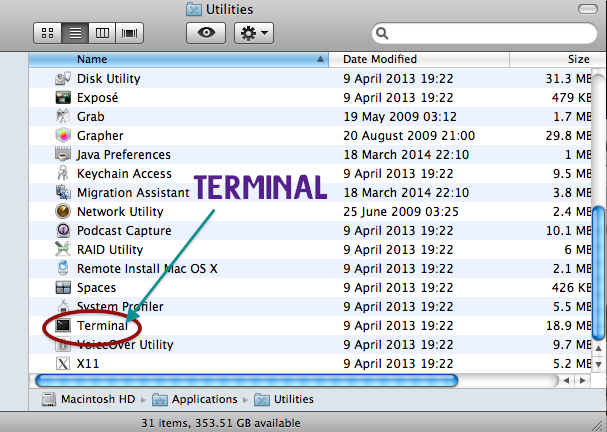 Just like any other USB device you locate the files and move them. There’s nearly always a downside when you are trying anything involving iPhones and connectability. In this case the downside is that you can’t use iFunBox to do anything else with your photos. Although iFunBox is advertised as being able to import things to your iPhone I have not had any success with it. Sigh. Image Capture is a pre-installed app that comes with your Mac. 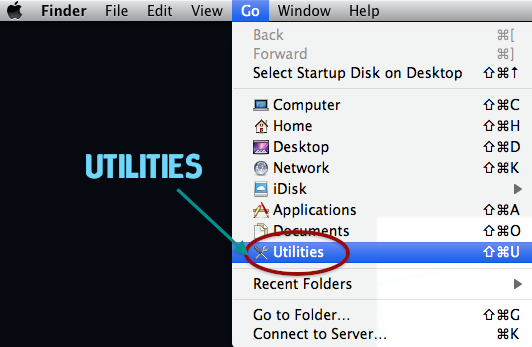 You can use it to move photos on to your Mac by selecting them and clicking Import. Or you can just import them all. Again you can’t use it to add photos to your iPhone. Oh no, that would be far too easy! Apple would never make things that simple. 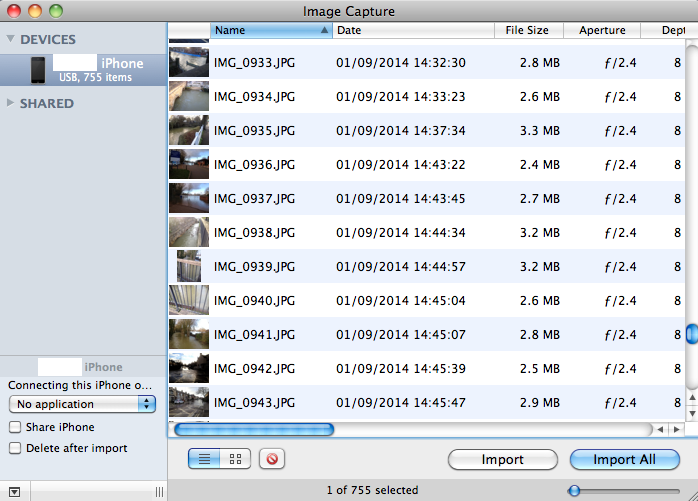 You can also use Image Capture to delete photos from your iPhone in bulk. 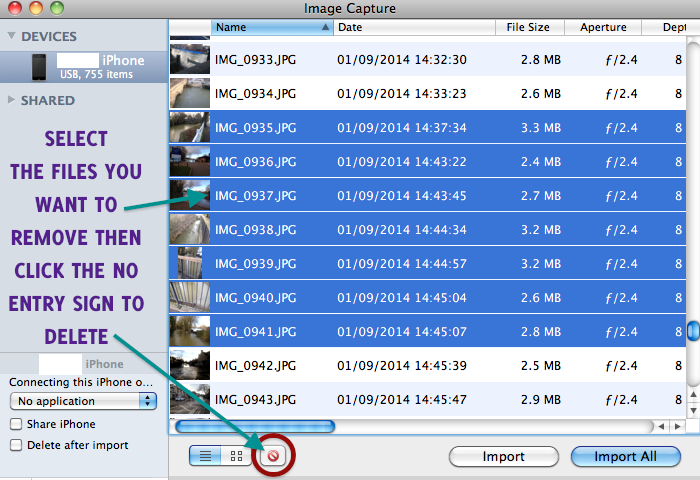 This is super handy if you are like me and take thousands of photos and then dread deleting them one by one later to free up space… To do this simply select the photos you want to delete from your iPhone and press the no entry sign at the bottom. Before doing this I suggest you backup all photos and pictures you may have on your iPhone using one of the methods above. I really do think iTunes is one of the worst ways I have ever experienced trying to manage a mobile phone. Seriously. What is wrong Apple? Why do you want me to spend hours trying to do things that should be easy and simple and not leave me screaming with rage and frustration and wanting to do a mass Godzilla rampage all over your stupid closed house ways??? So, after you have backed up, the only free way that I know of moving pictures and photos to your iPhone from a Mac is to use iTunes. If you have not done this before I suggest that to avoid accidents you use an empty folder and put into it all the photos/pictures that you want to move to your iPhone. NOTE: This does NOT mean your iPhone photos!!! 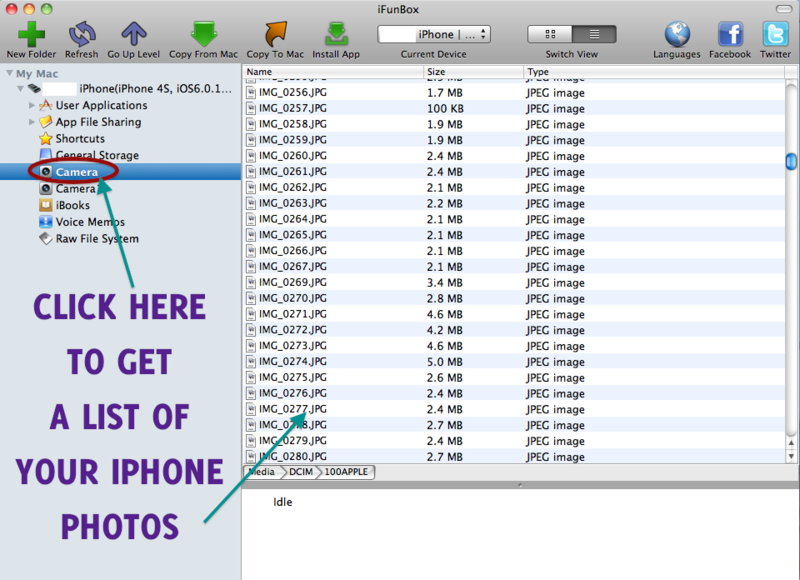 If you have backed up your iPhone photos to your “Pictures” folder, do not use that folder for this. You will just end up having duplicates of everything!! It is the curse of iTunes sync!!! When you’ve done that fire up iTunes and connect your iPhone. As I mentioned before my iTunes is set NOT to sync devices automatically, so if you aren’t sure check your iTunes Preferences before connecting your iPhone. Once you have connected up, click on your iPhone from the Devices tab and click the Photos tab along the top. In my case my “Pictures” folder was empty so I used that. I created some folders inside my “Pictures” folder to separate the various things I wanted to add. Your iPhone will automatically convert these into albums which is handy. You can select which folders within your chosen folder you want but I just click All Folders because it’s easier. When you are ready click Sync and wait while iTunes does other stuff you didn’t ask it to. And a little while later it should tell you it has finished. So that’s it. Hope at least one of these works for you. Good Luck! FINAL NOTE: Before disconnecting your device always remember to EJECT it. You can do this in iTunes. 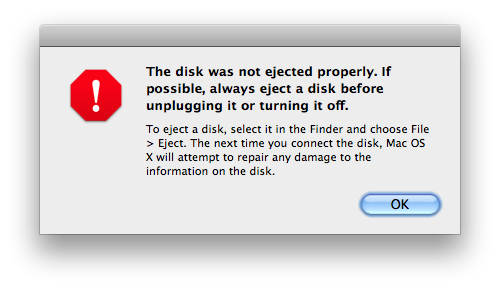 Apple devices are always upset if you don’t eject first. And it is good to do this anyway. What ejecting means is that if either your device or the connected PC is still doing things it will finish up and then disconnect itself WHEN IT HAS FINISHED. 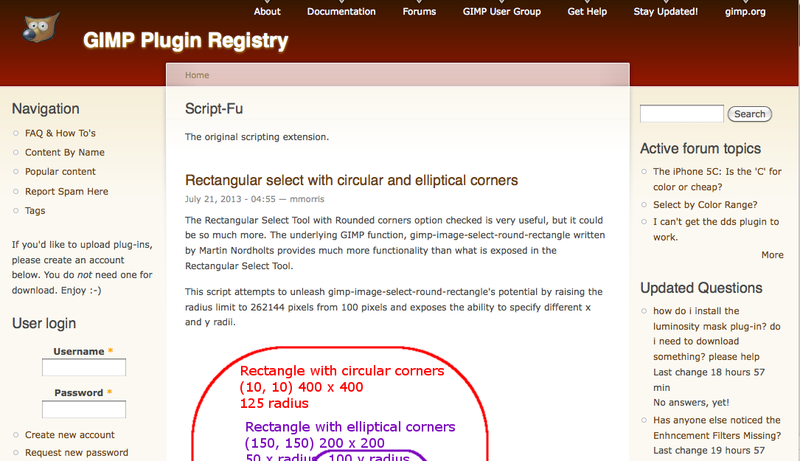 This way you will not get errors or incomplete transfers. Which is definitely a good thing. 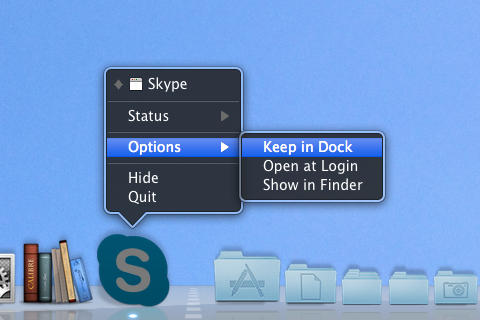 Many people don’t realise that you can put any application, file or folder straight in to your Dock for easy access. It’s really simple! 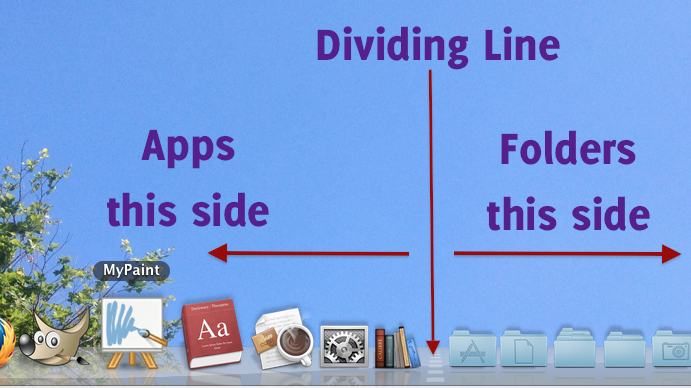 Simply drag and drop them in to the Dock (they must be on the right-hand side of the dotted dividing line). A few days ago I realised I hadn’t reconfigured my GIMP app since reinstalling my system. And as I was adding and installing the extras to GIMP, I remembered that it was pretty confusing the first time I tried to figure this out. 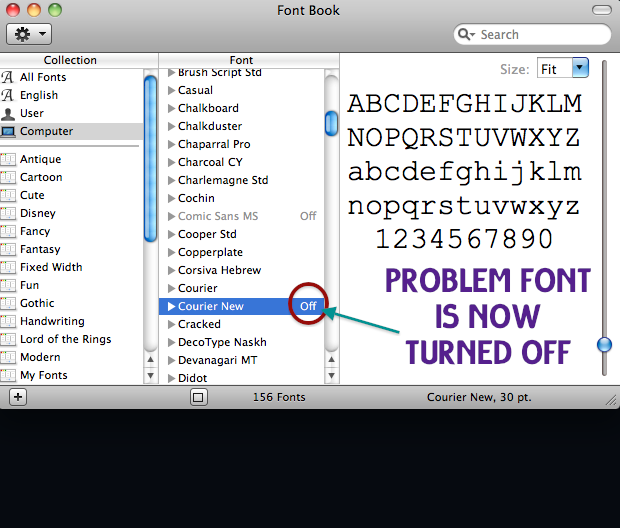 So here’s a quick post on how to install brushes, scripts and presets in GIMP if you are using OS X. After using iTunes 11 for about a month, to give it a chance after my initial disgust (see this post), I couldn’t stand it any longer. And, after weighing up various options, including various alternative players, I decided to downgrade to iTunes 10.7. iTunes 10.7 supports iOS 6 so I would still be able to sync my iPhone while enjoying all the features and aesthetics which are sadly (and annoyingly) lacking in iTunes 11. I can confirm that by using this method my iPhone, which is currently running iOS 6, does not get the “restore factory settings” error and has no problems syncing and accessing all the apps I downloaded using iTunes 11. I also did not get the dreaded error message (-42408). I had both these problems when I tried to downgrade previously. 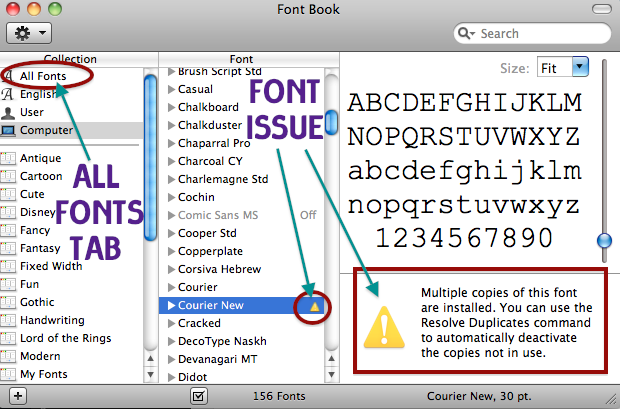 So this guide also provides a solution to these errors. I would also like to add that my iPhone is not jailbroken (just FYI).